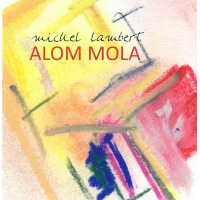 Michel Lambert is probably best known as a jazz and improvising drummer, most familiar from his recordings with fellow Canadian and saxophonist François Carrier, made since the turn of the millennium. However, there are other sides to Lambert that are not immediately obvious from that work. He has released several albums of his own compositions on the Jazz from Rant label that he founded in the early 90's with his wife Jeanette Lambert and her brother Reg Schwager, the label including recordings with such luminaries as Paul Bley, Misha Mengelberg, Barre Phillips and Kenny Wheeler. 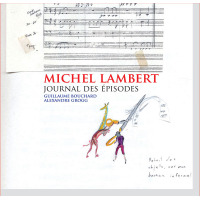 Michel Lambert's own recordings for the label include two volumes of Journal des Épisodes (Jazz from Rant, 2013 & 2014) altogether consisting of 189 short compositionsor episodesplayed by a piano trio, string quintet or the Winnipeg Symphony Orchestra. They range in length from five seconds to nearly six minutes and function like musical diary entries, running together to create a coherent narrative. Of the five compositions, no two have the same instrumental line-up, giving the album a refreshing variety, and always matching a composition to its chosen soundscape. Lambert himself is the only musician who is present on all five, and excels throughout. The longest track, the opener, "Caravaggio ténèbres et lumières" features assorted reeds, drums, two basses and string quartet while the shortest, "Musique du temps du rêve" is sparse by comparison, with just a trio of voice, piano and drums. That opener is a multi-part piece that begins with a mellow, atmospheric saxophone solo from Michel Côté that sets the benchmark for his playing throughout. 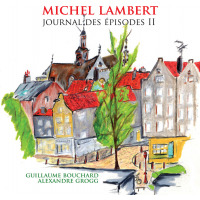 He is accompanied just by Lambert's drums, before his brother Pierre Côté enters on bass with an exquisitely constructed solo of his own that matches the sax solo. The piece proceeds with the arrival of strings which are easily integrated, sounding a natural part of it, never remotely out of place or jarring, eloquent testament to the quality of Lambert's writing. Strings appear on four of the five tracks, with two of those featuring the strings plus drums and keyboard, piano or harpsichord. This music's eclecticism and flow ensure that it should appeal equally to aficionados of jazz and of modern composition. It certainly sounds like it will stand the test of time. Track Listing: Caravaggio ténèbres et lumières: Duel de la Vie; Pierre Le Vral; Fourmis et Gravier; Impossibles Couleurs; Mort d’Avenel; Mort de Jarczyk; Liquide et Cire; Prisonnier et Cuit; Mille huit fenêtres ; Les cahiers de Barcelone: Tesoros del Raval; Sense el Vilallonga; Gaudi cançò; Cant de l’escamarlà; Sant Josep de la Boqueria; Musique du temps du rêve ; Alom molA. Personnel: Pierre Côté: double bass (1, 3); Michel Côté: soprano, alto, tenor and baritone saxophones, bass clarinet, clarinet, tuba, double bass (1), maϊkotron (3); Michel Lambert: drums, maϊkotron (1); Geneviève Liboiron: violin (1-3, 5); Alexander Lozowsky: violin (1-3, 5); Jennifer Thiessen (1-3, 5): viola; Elinor Frey; cello (1, 5); Pierre-Yves Martel: double bass (1, 5); Jean Christophe Lizotte: cello (2-3) ; Nicolas Lessard: double bass (2-3) ; Alexandre Grogg: piano (2, 4), harpsichord (5); Jeanette Lambert: voice (4).